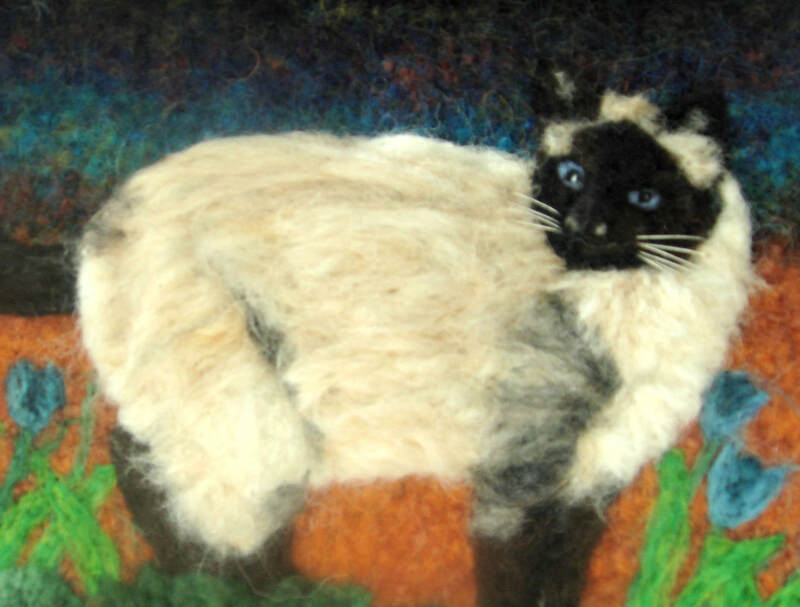 DESCRIPTION: Do you like Siamese cats?This one stands in the grass and shows off its beauty! 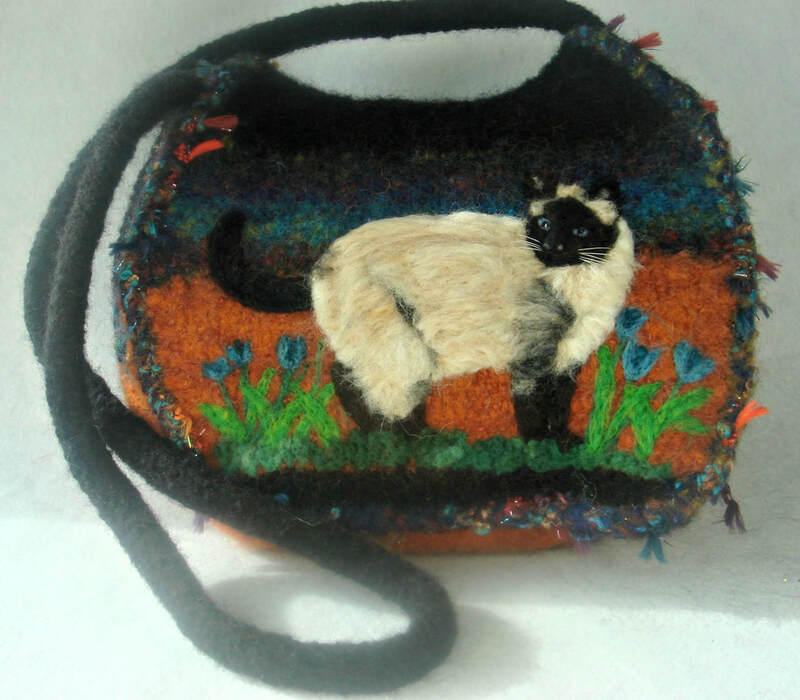 The colorful purse is a perfect backdrop to highlight the details of the cat with blue eyes! 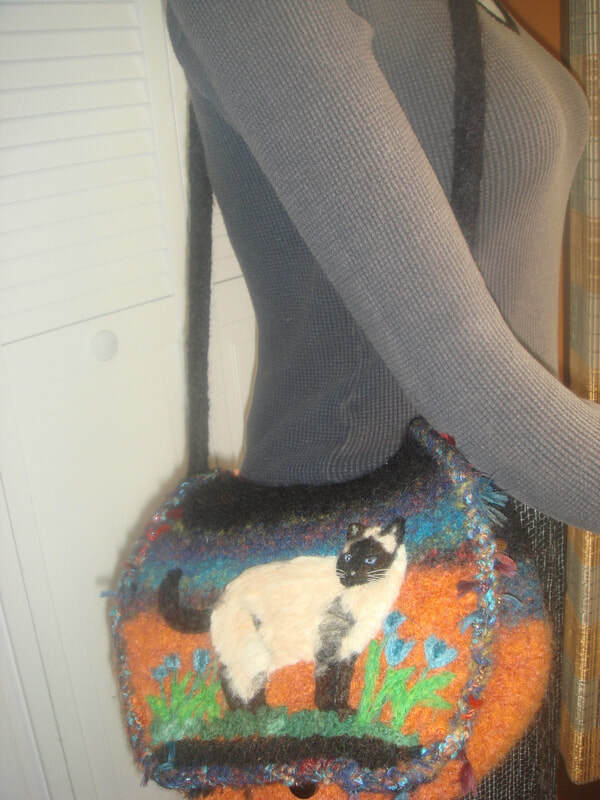 The bag has an inside pocket and closes with a magnetic snap. The measurements are: 12"X9"X6". The ADJUSTABLE strap has a 25" drop but can easily be shortened. SHIPPING COST: To be calculated at check out.